Marking complaints are among the top concerns I hear as a dog trainer. Owners don’t understand why it is happening, especially when their dog is housebroken. But there is more to it than that. Check out a previous blog on why dogs mark, and then read below to learn some ways to get it to stop. When fear or separation anxiety is the likely culprit, this is a great solution. Crating when you are away will help prevent marking, as well as other destructive actions by your pet. Dogs are den animals and see their crates as a den area for themselves. 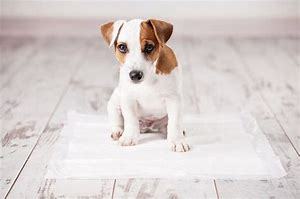 However, if you have any qualms about a crate, your dog will feed off of your energy surrounding it and then may end up not liking the crate. Because they feed off of your energy, it’s important to stay calm and firm. Don’t force a fearful dog into a crate – you should never scare or hurt a dog to get them to behave. All behavior is learned, and therefore can be unlearned and retaught. For example, if you give me your dog, I’m going to teach your dog what it means to be a member of my family. What is means to be a dog in my home is going to be different than what it means in your home. Dogs can, and do, learn new things all the time. Need help with crate training? Check out this blog. Leashing is great for when you are home and when your dog is marking to be territorial. Territorial marking is when you notice they are marking areas where other dogs lie or have been/marked, or on items that belong to you or others in your house. Not only does the leash act as a natural bond between you and your dog, but it also gives you the opportunity to keep a closer eye on him. If you catch him sniffing around, say his name rather loudly and firmly to stop him in his tracks, and get him outside to do his business. Praise your dog while OUTSIDE or your dog will think he can keep going inside if he receives praise and treats there after doing his business. Looking for more tips on housebreaking your puppy? Confusion leads to destruction of your home and your things. When your dog receives mixed messages, from you, or from you and others in the house, they can become confused. I train from a place of pack mentality and the understanding that dogs just want to know where they stand in regards to their placement within. Without a clear leader, they become confused and misbehave. Stop my dog from marking! If you are needing help with marking, crating, housebreaking, or other behavioral issues, I can help. I offer Dog Obedience classes in Colorado Springs, as well as private dog training sessions to help foster healthy relationships between people and their pets. Contact me today for more information.